Baltimore’s Camden Yards is a must-see for any sports fan. The neighborhood is home to Oriole Park at Camden Yards and M&T Bank Stadium, which are the stadiums for the MLB’s Baltimore Orioles and NFL’s Baltimore Ravens. 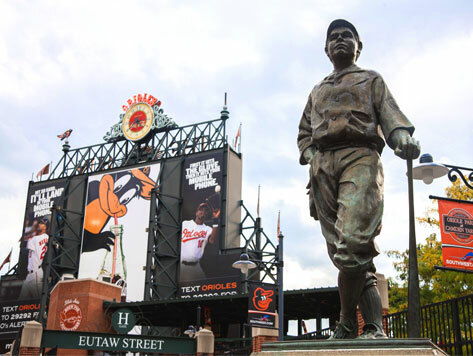 Popular attractions within the area include the Sports Legends Museum at Camden Yards and Babe Ruth’s Birthplace. Camden Yards parking is available at 5 convenient locations near Oriole Park and M&T Bank Stadium. You can book Camden Yards parking online and guarantee your spot for the Orioles and Ravens home games. The Redwood Street Garage is just two blocks from Oriole Park at Camden Yards.